COA’s creative work represents different creative treatments, but a consistent creative philosophy. Our philosophy starts with an understanding of how to be relevant to the target. In our print work for example, you will see the targets’ self-images reflected in the graphics, headlines and copy. The “stopping power” of a creative execution depends on this. Beyond understanding the target, we try to keep our graphic treatments clean and simple, with strong visual impact. We have a whole world of photographers and illustrators to help us achieve this, depending on concept and budget. The language in our copy is straightforward, benefit-oriented and typically strives to leverage some emotional appeal. We strive for executions that have some intrinsic reward for the prospect that takes the time to “be with” our message for even a moment or two. It may make them feel good, impart a new piece of information or suggest a new outlook. 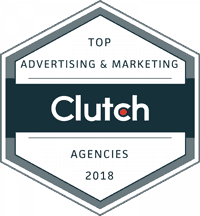 We staff our creative teams with seasoned copywriters and art directors with abilities to think strategically and execute across the full range of marketing communications vehicles important to today’s more targeted marketing mix.